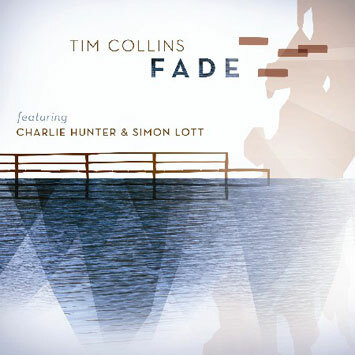 With the release of his new album "Fade", vibraphonist Tim Collins has found a way to meld raw grooves, lush arrangement, and haunting melody into a powerful unit. Critics and fans alike have hailed Tim as "a world class vibes player" (CJSR-FM), "one of the best vibraphonists" (KMVR-FM) "an exciting player" (All Music Guide) and "nothing less than exemplary" (Downbeat). "I wanted to make a record that would somehow reflect my love for Milt Jackson, The Police, and Bjork all at the same time," Collins says. He uses the vibraphone like a guitar - creating layers with a myriad of effects and sounds that largely haven't been used by vibraphonists. Ring-modulators, distortion, delay, pitch bending, bowing - all are used by Collins on this album, and it proves to be a rocking combination with bassist Charlie Hunter and drummer Simon Lott. "I've never heard anyone use the vibes like this," say Hunter, who also produced the record with Collins. On songs like "Loud" and "Cave Dweller", the heavily distorted vibes sit on top of dirty punkish grooves. Delay and reverb give Steve Reich-esque qualities to other songs, such as the strings-driven "Lake George 1983" or the trance inducing "Mystified" and "Stop or I'll Throw My Keys". Still other songs are flat out pop songs - with vibes as the lead singer. "Three of these songs actually do have lyrics," says Tim. The first of these, "Dear Old Friend" is a hauntingly simple piano melody reminiscent of the Beatles "Abbey Road" era, while "Joyride" is an irresistably catchy pop tune more akin to Green Day or the Foo Fighters. The title track "Fade" is another song with lyrics, and it's also one of two tracks that feature a string ensemble. It is performed beautifully by Zach Brock (violin), Marla Hanson (viola), Chris Hoffman (cello), Matt Clohesy (bass), and Matt Blostein (alto sax). The same ensemble is featured also on "Lake George 1983", a song that uses the strings as percussion instruments, propelling the groove with their hypnotic, minimalistic rhythms. For all of the experimental sounds on this record, "Fade" never forgets how to rock. This is most evident on both "Saddlebags" - a rousing tribute to Milt Jackson relentlessly propelled by Lott and Hunter - and "Rise, Set, Fall", a song which uses piano and glockenspiel to invoke a 'music box' feel. "Fade" can be purchased at CDBaby or through Ropeadope.com in August. visit www.timcollinsmusic.com for more info!